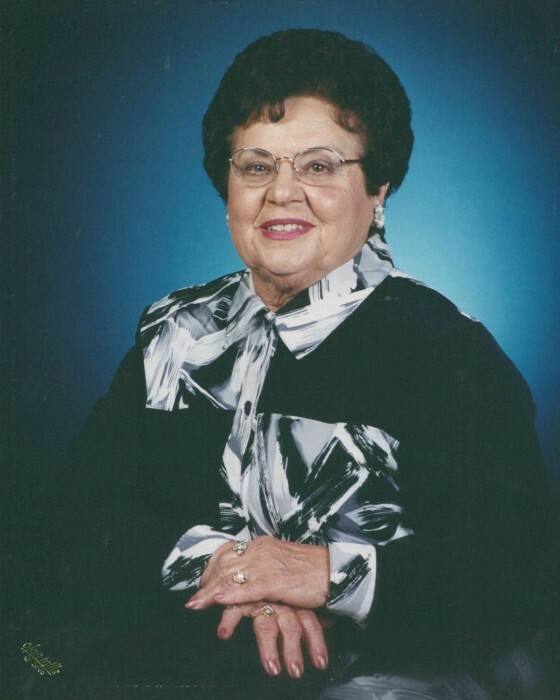 Velma Pfannenstiel, 90, Hays, died Sunday, January 27, 2019 at HaysMed. She was born March 23, 1928 in Hays, Kansas the daughter of Alex and Adeline (Leiker) Klaus. In 1946, she graduated from Girls Catholic High School in Hays, Kansas. On June 11, 1947 she was united in marriage to Julius Pfannenstiel. He preceded her in death on November 25, 1971. She was a cattle and dairy farmwife and worked for many years at Kline’s Department Store in The Mall. She was a member of Immaculate Heart of Mary Catholic Church and was a volunteer for many years at St. Anthony Hospital. She enjoyed bowling, playing pinochle, was an excellent cook, a devout catholic, and was very close to her sisters. Survivors include a son; Bruce Pfannenstiel of Lawrence, Kansas, a brother; Joseph Klaus and wife Janet of Hays, three sisters; Ruby Binder and Lillian Schlyer, both of Hays, and Violet Mermis and husband Robert of Salina, three grandchildren; Calvert, Julia, and Matthew Pfannenstiel, and numerous nieces and nephews. She was preceded in death by her parents, her husband Julius, an infant daughter Mary, a brother Walter Klaus, and by a brother-in-law Paul Binder.